Puresport has been chosen by many companies like Vodafone, Kerakoll, Energizer, Poste Italiane, Barilla, etc. for its courses. Check out our press review page on the website to read articles written by the press about Puresport’s driving experiences in Formula and GT cars. Still not sure whether to choose Puresport driving school? GT cars: drive a new breed of GT cars with Puresport. As well as single-seaters, with Puresport you can drive fast GT cars with very different technical and performance features. Puresport has chosen brands like Ferrari and Lamborghini and thanks to their fame, no introduction is needed. Cars mantainance is guaranteed by the authorized workshops of each brand. 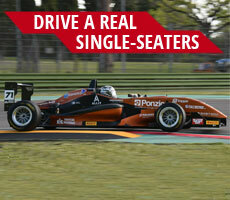 Single seaters: Drive F1 and other single-seaters. Puresport is very selective when it comes to choosing cars: all cars must meet the high safety, reliability and performace standards and they all have a carbon-fiber chassis, the safest in the world. Puresport chooses only the best single-seaters. Formula 1, Formula Nissan and Formula 3 cars are all made by Dallara SPA, a world leading racing car manufacturer. Before every event all of our cars are checked by mechanics to make sure everything is in the very best condition. With the GT car program, Puresport gives you the chance to get behind the wheel of cars such as the Ferrari 458 Italia and Ferrari 488 GTB. 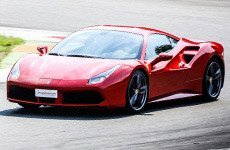 Ferrari Spa is a car manufacturer that has more than 60 years’ experience in racetracks, producing sports cars of a very high level with matchless features. Puresport guarantees its clients very high safety standards, thanks to a technical team made up of experts in driving courses on Formula and Gt cars. 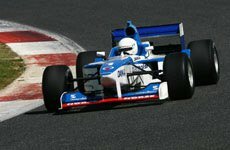 Puresport teaching method, gives clients the most important notions, to be able to face the racetrack with the maximum safety with Formula 1, Formula Nissan 3000, Formula 3, and GT. Puresport is able to guarantee its clients a total satisfaction for what concerns the driving experiences thanks to a qualified team made up of experts in managing and promoting sport events that assure competence to clients in teaching how to drive a Formula 1, a Formula Nissan 3000, a Formula 3 or a GT car. 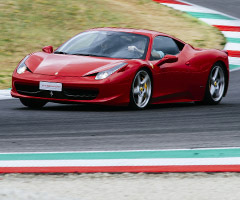 Thanks to the high skill level of its staff, Puresport can offer a wide teaching plan, that includes: courses about the driving tecniques in Monza, courses about the driving tecniques on Gt cars on racetracks such as Monza, Vairano, Franciacorta and Viterbo. Puresport also entrusts all what is about safety to its technical staff: the instructors supervise every critical point of the track, talking via radio to each other and to the garages. Thanks to its staff high knowledges, Puresport guarantees fun, motorsport events of high level and learning of driving tecniques like accelerates, and fast brakings, all totally safe. In order to guarantee safety on the track, Puresport supplies to its customers the right technical equipment to drive. For the single-seaters like F1, F3, FNissan and GT cars experiences Puresport supplies all the technical FIA omologated clothing, entirely fire-proof, as per the safety regulations and it includes race-suits, helmets, shoes and safe belts. For the GT driving experiences participants will be supplied with a helmet and a balaclava for the necessary safety while taking part to the driving program. 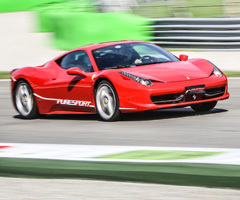 Puresport offers to its clients the chance to buy the video camera car on-board. It is a video-recording system which is fixed on the cars, normally on the Formula rollbar or inside the car if you are driving a GT. Thanks to this recording, Puresport clients will be able to re-experience, watch again and comment their driving experience whenever they want, with their friends, as a special reminder. Puresport is not involved in dates of tourist or sporty motor racing circulation, but buy only exclusive dates on racetracks, where there are only self-owned Puresport customers and owners of similar cars selected by Puresport up to a maximum of 8 cars at the same time. This will ensure greater safety and more fun at the right price . In many racetracks tourist circulation events are organized with up to 30 machines at the same time, small and large displacement, at the expense of safety. With Puresport, you'll never be disappointed! 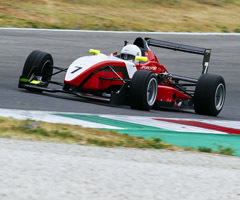 Puresport has organised driving experiences in single-seater and GT cars since the year 2000. 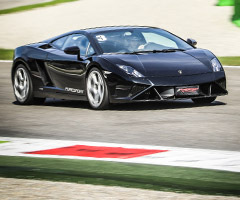 Founded and administrated by Rosario Campagna, Puresport guarantees its clients the highest quality standards, essential for experiencing a day characterised by speed on the track with cars like the Ferrari 488 GTB Ferrari 458 Italia, Lamborghini Huracán, Lamborghini Gallardo. 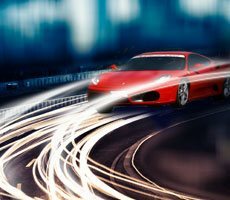 Thanks to Puresport you will enjoy an experience made of excitement and fun, you will have the opportunity to drive technological cars safely and at very competitive prices. 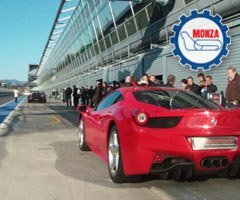 For an unforgettable experience, incentive event or team building on the awesome Italian racetracks, get in touch with us today!